Crop research process has four research teams i) cereal crops ii) pulse and oil crops iii) horticultural crops and iv) crop farm technology multiplications are research teams and technology multiplication teams of the process. This research process has two research teams i) Soil and water conservation research ii) Agro-forestry research team. 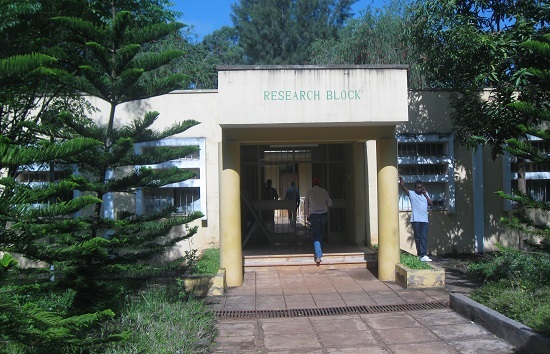 The research process has six research teams i) dairy research ii) meat research iii) animal feed research iv) apiculture research v) poultry research and vi) animal farm technology multiplication teams. The center is located at 258 km west of the capital, Addis Ababa, 8 km away from the nearest town, Bako and 4 km from highway road to Nekemte town, western Ethiopia. BARC lies between 906’N latitude and 3709’E longitude at an altitude of 1650 masl. Agro-ecology is mid-altitude with high rainfall of 1238 mm year-1 and hot humid weather 13.3 0C minimum and 280C Maximum annum-1. BARC covers an area of 1440 hectares. Majority of the land area (66.5%) was allocated for natural and artificial forest and animal greening, 22.5% is allotted for experimental and seed multiplication, the rest 10% is for residential, research block and management office, laboratory, library and recreation centers.